Multi-platinum recording artist and global icon Gwen Stefani is heading to the Las Vegas Strip with her exclusive headlining residency show, "Gwen Stefani – Just a Girl," inside Zappos Theater at Planet Hollywood Resort & Casino beginning Wednesday, June 27, 2018. The Beasts of Bourbon will reform a little earlier than expected for ‘I Get Up Again – Brian Hooper Benefit’ on Friday (13 April 2018). ‘Billy Elliot the Musical’ will return to Australia in April 2019. Michael Bolton, the multiple Grammy Award-winning singer, songwriter and social activist who has sold more than 65 million records worldwide, was first drawn to Detroit while researching for his album A Tribute to Hitsville USA. Cronulla’s own Fripps & Fripps started bubbling out of Cronulla after some early action via Triple J Unearthed. Reef’s new song ‘My Sweet Love’ features Sheryl Crow. Dog Trumpet’s ‘Penal Colony’ has been included in the movie ‘Super Troopers 2’. Neil Finn has confirmed that he has joined Fleetwood Mac after the dumping of Lindsey Buckingham from the band. Tommy Lee's charges against his son, Brandon Lee, for punching him during a mid-March altercation have been dismissed by the Los Angeles district attorney and it appears to be Tommy's fault. 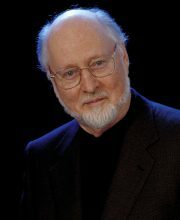 BMI (Broadcast Music, Inc.) has announced it will present legendary film composer John Williams with a special award bearing his name in recognition of his incomparable status as one of the greatest film and television composers of our time. 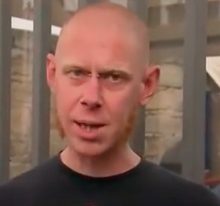 Astro Labe, the Hobart DJ who head-butted former Prime Minister Tony Abbott in September 2017, has been sentenced to six months in jail. Bob Dylan has released a song for the LGBT community. ‘He’s Funny That Way’ was recorded as part of the six-track EP ‘Universal Love’. Daddy Cool and Mondo Rock legend Ross Wilson had a bit of fun acting opposite his step-daughter Olympia Valance on Neighbours. His classic line was “My own kids don’t even know my songs”. The Melbourne Music Bus Tour is continuing through until July with tour guide Bruce Milne taking right to the door of where music history happened in Australia’s music capital. 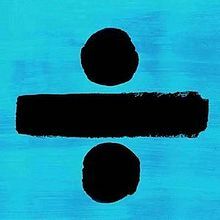 Ed Sheeran holds firm to the No.1 albums slot in Australia with his third studio album "÷ (Divide)" for a twenty-seventh non-consecutive week at the top here. Drake enters double-digit week as his "God's Plan" notches up a tenth stay atop the ARIA Singles Chart in Australia, picking up a 2x▲Platinum sales certification this week, while the track also holds for a tenth week in America, Canada and Ireland. 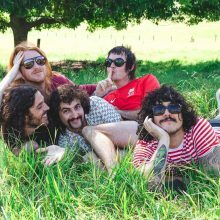 Dylan Frost, the lead singer of Sticky Fingers, has made a public statement about violence following the return of the band after a 12-month hiatus.